Raising awareness with powerful workshops and seminars for professionals and parents throughout Israel, including the very successful dyslexia simulation seminar. Thanks to these workshops and seminars, many children have been identified, assessed and provided with effective intervention. In-house educational assessments, interventions, and consultations with expert professionals, enabling early and accurate identification and intervention..
Parental education program about dyslexia to help them advocate for their children within the school system. Advocacy with both local and national education officials, to further fundamental changes in the educational system on behalf of students with language-based learning disabilities. Unique high school class at Yeshivat Shaalvim, specifically tailored to the needs of boys with dyslexia and other language-based learning disabilities. Support for integration to an ever-expanding network of schools, providing specialized assistive technology and focused teacher training so that students can learn in a regular high school class. Kol Koreh music video, which gained over 30,000 views during the first month of release. Received the 2017 Initiative for Zionist Innovation Award, sponsored by Nefesh B’Nefesh, the JNF, and the Blumenthal Family Foundation. Kol Koreh Audiobook Initiative began with our first audiobook, Eli Green’s Jellybean Tree. Interactive Student Center to empower and challenge learning-disabled students, offering a wide range of activities and advanced educational resources. We envision this center to also serve as a ‘one stop shop’ for information and resources for families and professionals. 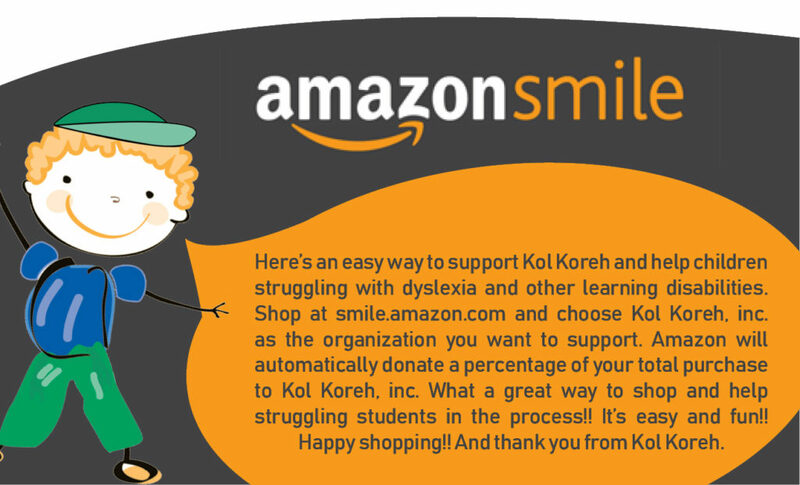 Looking ahead, Kol Koreh is planning to expand our in-house activities into larger premises, enlarge our audiobook library, create more teaching materials and educational games, provide increased teacher training, and launch the Dyslexia Friendly Schools Assistive Technology Program to expand our assistive technology provision.